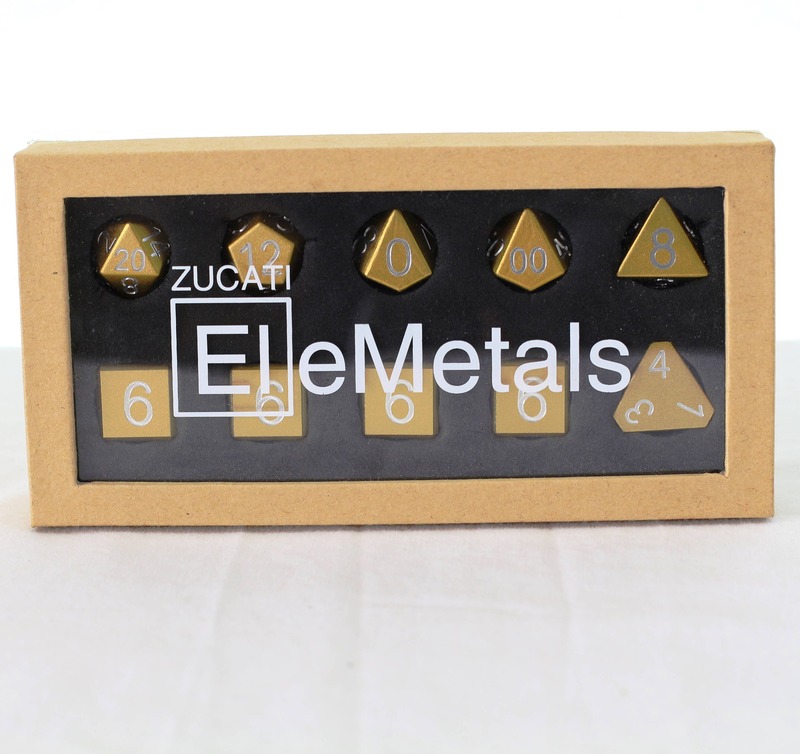 Zucati Dice EleMetals™ are the newest and best dice we've ever made. 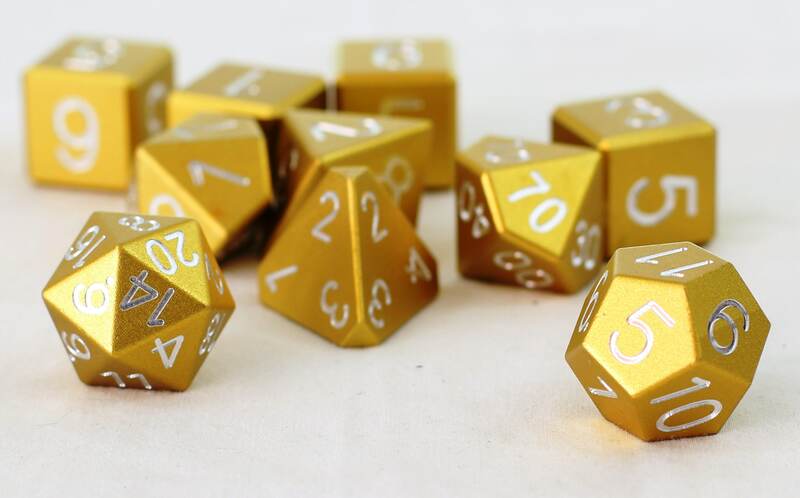 These dice are the result of two years of research, testing, prototyping and work. Made from aerospace 6061 aluminum and brilliantly anodized in a beautiful array of colors. 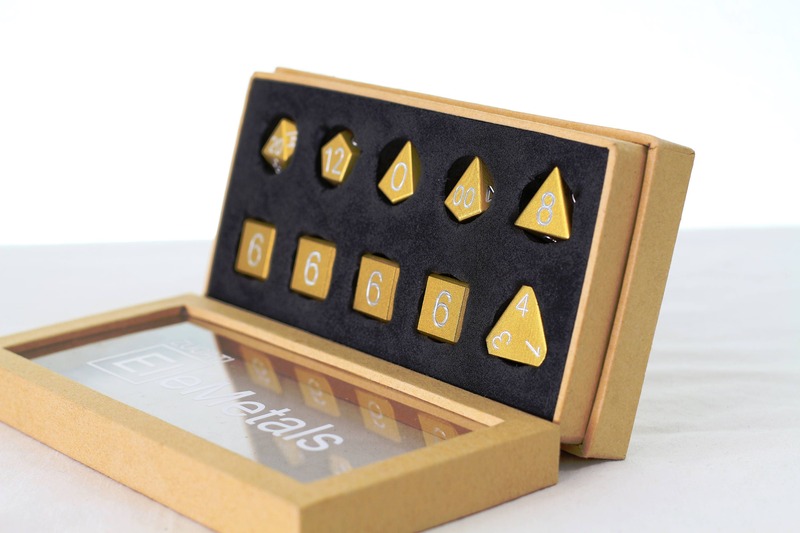 All contained in a custom-made retail windowed package with luxurious dense foam pockets that you can re-use to transport and display your Zucati Elemetal™ Dice in style. Role your character from the moment you take your dice from the box. Not only do you get all the dice you need to dominate your game, but they're made to be proportionally complimentary and incredibly easy to read across all colors thanks to our research and implementation of the perfect font, size, positioning and depth of our engravings. No faded laser etching, no paint to chip off, our numbers are large, clear and view-able at any angle with ease, another industry leading standard exclusive to Zucati Dice And ZucatiCorp. Lastly these dice feature everything you want and nothing you don't. Balance, durability, beauty and perfect rolls every single time. Our D6's have no line under the six, our other dice feature perfeclty placed single pips on the 6 and 9's and all are made to our exacting standards. 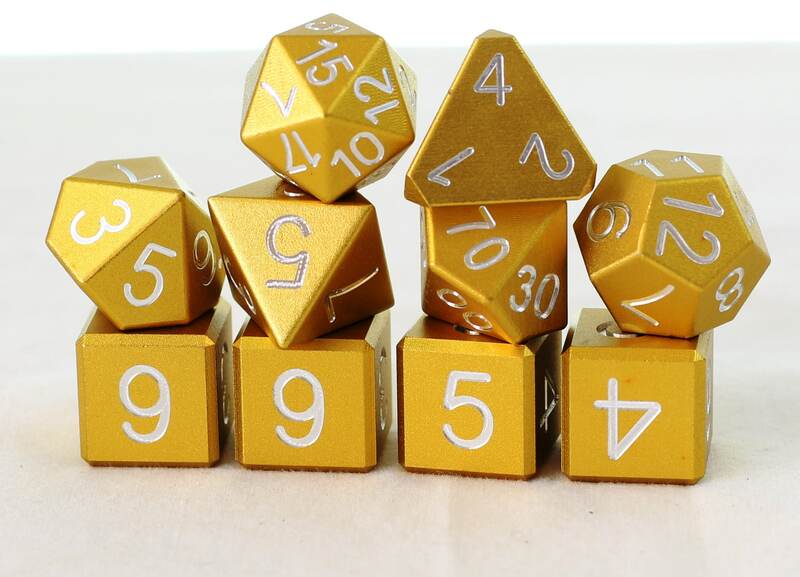 You simply cannot get a better set of dice that has more value, style or ease of use than our Zucati Dice Elemetals™ . Roll the best without paying the most.